Have you ever watched an old movie and realized that the futuristic looking weapon, communication device, clothing or whatever, now existed? How many of those James Bond weapons or spy gear that was completely made up by the author ended up being made by a government or other agency or company? I think science fiction helps us to imagine the future. If someone can think it up, someone can make it happen. That’s part of the reason I like to research real science and then re-imagine it for my own purposes. It’s always possible that, one day, whatever crazy thing I made up might actually come into being. Scary thought, right? LOL At least it’s fun to think about. Below are several science topics I found fascinating and included in one or more of my books in some way. When I studied gene therapy many years ago I didn’t realize just how often I’d refer to it in the GhostWalker series. From DNA splicing to creating a hot virus this topic continues to fascinate me. Gene therapy is a procedure used to correct the genes that cause disease. There are many approaches that can be used to alter genes. The most common approach is the use of a neutralized virus to insert DNA into the genome. Currently the F.D.A. has not approved any gene therapy for sale, but it does exist experimentally. I researched bio weapons and warfare a great deal for Toxic Game. I was surprised to find how long bio warfare has been used. Biological warfare isn’t something I made up nor is it new. History has recorded the use of infectious disease as a weapon as far back as 600 BC. Bio weapons utilize living organisms to spread dangerous infections and create a pandemic in order to cause harm to an enemy. The use of such weapons and the fact that the spread cannot be controlled makes the use of bio weapons a war crime. I use remote viewing in a few of my books. ESP has always interested me and the Stargate Project was inspiring to learn about. Remote viewing is sometimes called ESP or extrasensory perception. I researched all I could about the Stargate Project which happened in 1978. It was a study done by the US military to find out what potential there was for psychic ability. When the CIA took over the review of the results of the project they did determine that ESP exists. But, because the use of it hadn’t gained enough military intelligence the project was dropped. 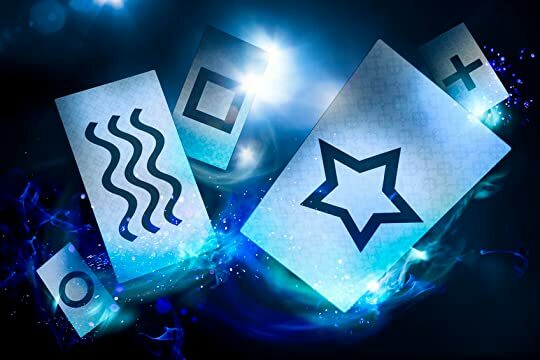 Psychic ability outside of the military continues to be of interest. I have had a few books that talk about characters that can walk on walls and ceilings. In my mind many of the GhostWalkers have this trait though I may not have named them all. The ability to climb on nearly any surface would be very handy in a great deal of situations. Geckos have an amazing ability to climb on just about any surface. They’re able to do this because their toes are covered in these microscopic hairs called setae. 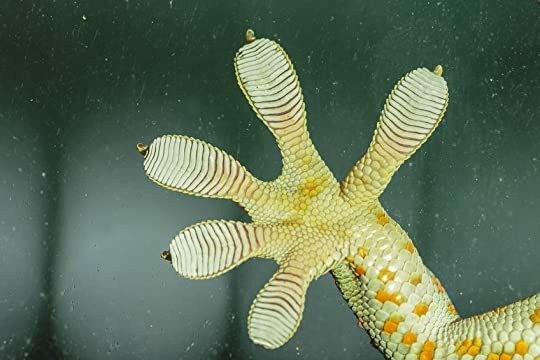 Scientists have studied the Gecko which has helped with new discoveries and inventions including ways to “glue” wounds. I have several books in which a character has the ability to climb walls, ceilings or buildings. The ability has to do with setae on the person’s hands and feet. There are many other topics I’ve researched over the years for my GhostWalker series. Artificial intelligence, poisonous creatures, psychic healing and so on. It’s hard to say what I might find out there in the world of science, but I’m always on the hunt for something unusual and interesting. Fun and, while reading Toxic Game with Bio Warfare, I'll go with edge of your seat scary to think about. Its what makes the books grab hold...you have to make sure you get to that happy ending!